The proper etiquette demands that the food and drink is labeled so guests can quickly determine what they want. Receptions are no different. 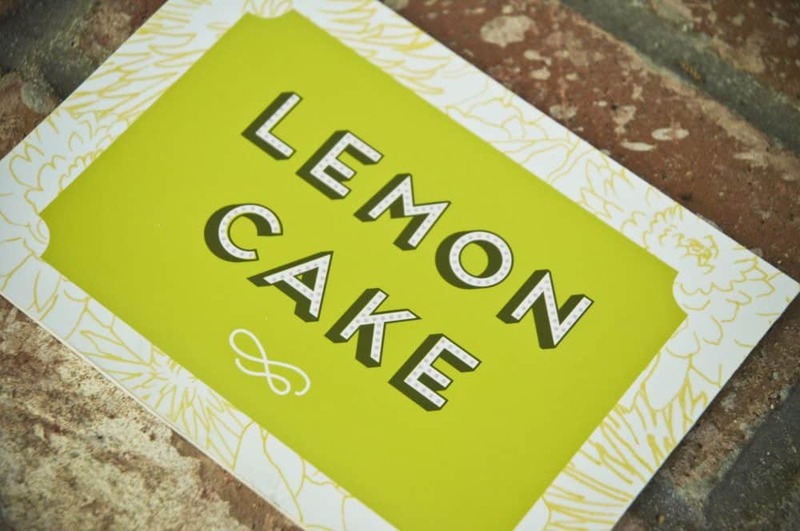 There are all types of ways to create beautiful reception food and drink signs, from picture frames with printed labels inside to mini chalkboards. Today we’re going to share how to create gorgeous laminated food and drink signs that will perfectly complement your tables. First, begin by using your computer’s word processor to create signs of the foods/drinks you’ll be serving. Spend some time looking around at the available fonts, and experiment with sizes. Script is beautiful, but make sure the signs can be easily read by everyone who will be attending. If you’d like to add any sort of decoration (such as a frame to go around the wording), there are a few different ways to do it. PicMonkey is a great photo editing website that has frames and flourishes of all kinds. To use PicMonkey, you’ll want to upload a picture of a simple background color with no text or decoration. Then, use the add text and embellishment tabs to create the wording and decoration until you get it exactly how you want it. Then, save the picture to your computer in JPEG format. Next, in your computer’s word processor, click “insert” and add the picture to an open document. You can likely add 2-3 per page for printing. Next, use a ruler to create lines to cut the labels out and cut a piece of glitter paper just slightly larger than the label. Use a small amount of glue to place the label onto the glitter paper and then insert it into the laminating pouch. Run it through the laminator 1-2 times until it is sealed well. 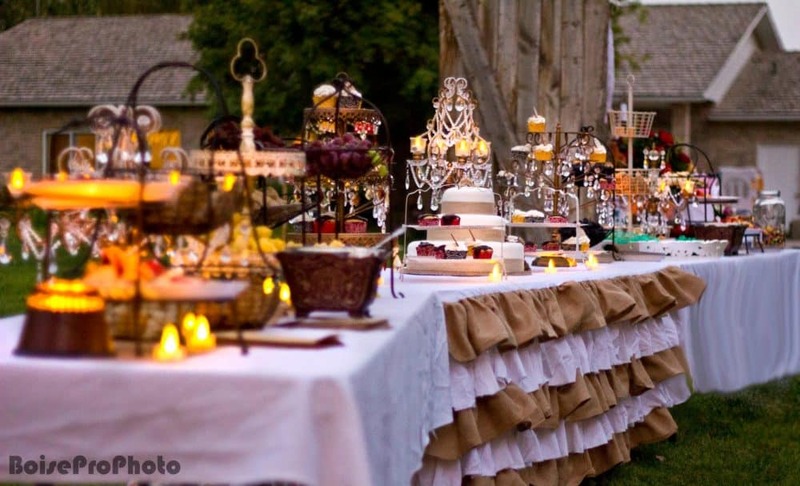 Voila – you’ve created beautiful wedding table food signs with very little hassle and very affordably! These can be placed in wire picture clips, or you can punch holes in these and place some thin ribbon through to tie them onto different dishes and containers. Let us know what you think of this project in the comments below.